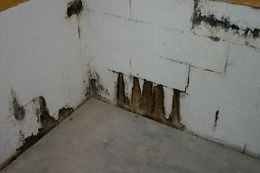 Water seepage into your home can cause a lot of problems in your home or business. The most common causes of water seepage include leaking pipes, cracks in walls, and faulty gutters or downspouts. If you are finding water in your basement, give us a call and we’ll come out and perform a free inspection. We’ll determine where your water seepage is coming from and repair the problem and fix any damage that may have been caused. Wet basements are very common because there are so many ways that water can enter your home. Weather, human error, and mechanical failure are all things that can impact your home’s ability to stay dry. It doesn’t necessarily mean that your property is shoddy or that something bad happened. Time and nature take its toll on everything, so don’t get upset if you do find water in your basement or crawl space. Window Wells: These are a great (and necessary) addition to a basement, allowing light and air in, and giving you an access point to evacuate, if needed. If the drain becomes clogged, you may have water begin filling the well, either leaking through seams or even pushing the window into the basement. Hydrostatic Pressure: When the soil around your home becomes oversaturated with water, it begins to push against your foundation walls. These can push water into small cracks into your basement, or up through the floor. It can also create bigger cracks and even cause your walls to bow or lean. The water can come from leaking pipes, torrential rains, large or sudden snowmelts and other causes. Determining the cause of your water seepage is key to repairing the problem and preventing it from happening again. There are so many variables when it comes to water seepage in your Iowa home or business. Let our wet basement experts inspect your property and work with you to make a plan to repair your structure and keep it dry. 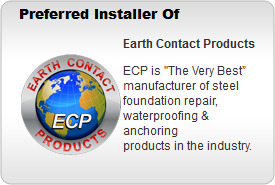 Contact us today and learn more about why your basement may be wet and what can be done to fix it permanently. We look forward to hearing from you.